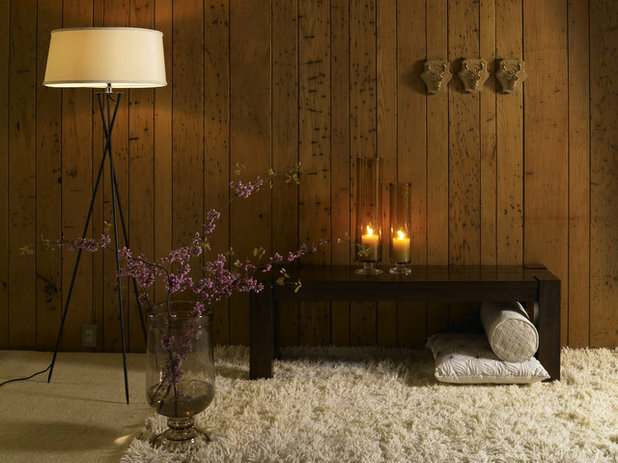 Wood Paneling: We aren't talking about your parents' 1970s den walls, but rather that rich, natural, Alpine lodge feeling with a modern twist. 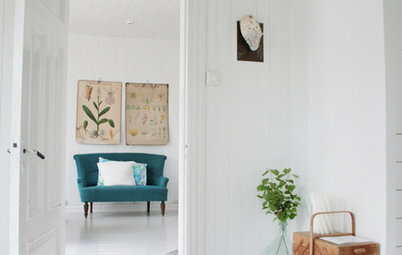 Here are some beautiful examples of how to bring the texture and feel of the natural outdoors into your home by way of wood paneling in ways that feel fresh and inventive. The immediate mental image you get when you read "wood paneling" closely resembles the vertical, dark wood application you see here. 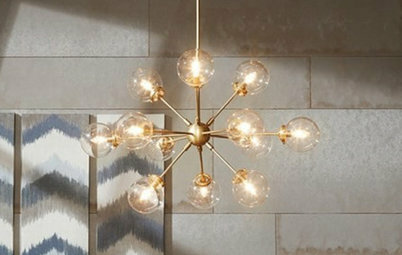 A thick shag rug, a curated collection of trophy plaques on the wall and contemporary furnishings and home accessories make the paneling feel intentional and desired. 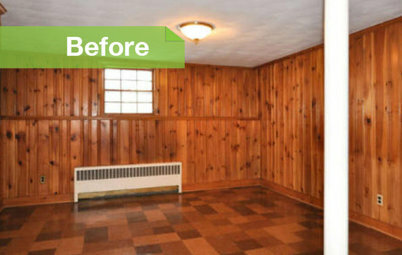 The most obvious way to modernize wood paneling look is to turn it 90 degrees on the horizontal. It is reminiscent of the horizontal wood slat look that has swept our terrain in the past couple of years, but with high-quality wood closely spaced together, it won't look outdated for a long time. 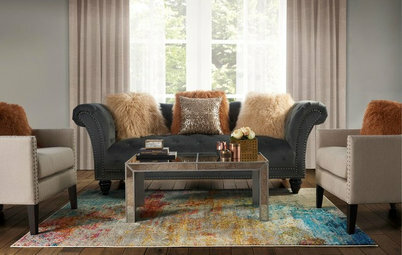 How much do you love the faux bois patterned rug that reinforces the outdoorsy natural feel of this interior space? 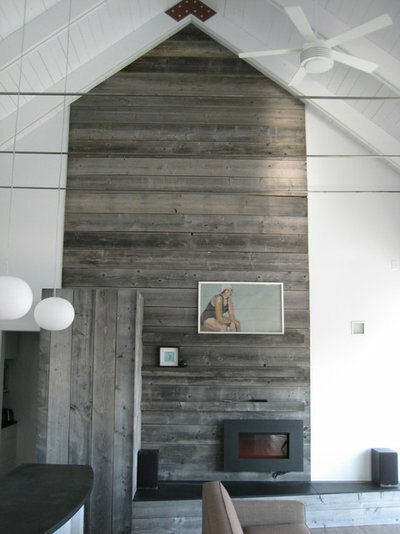 Using weathered or reclaimed wood offers texture and a timeworn gray patina. If you are favoring grays and whites at home and would like a way to bring in a feeling of the outdoors, this is a great way to do so. 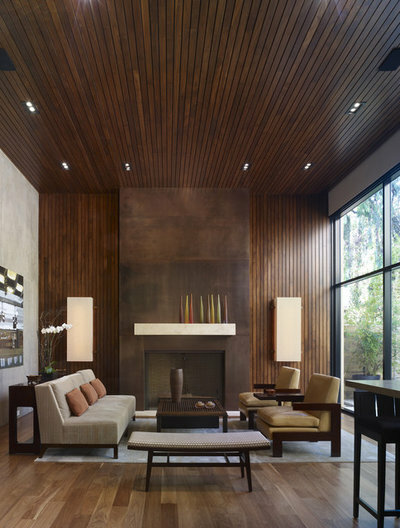 The wood paneling around the fireplace feels so right. 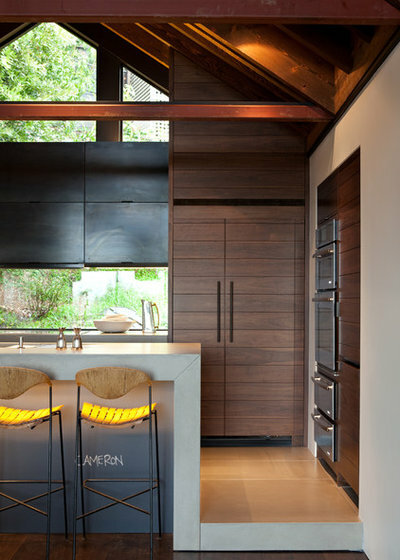 Again we see weathered boards used as the wood paneling, this time in a way that feels more masculine. What I like most about this installation is the built-in shelving. 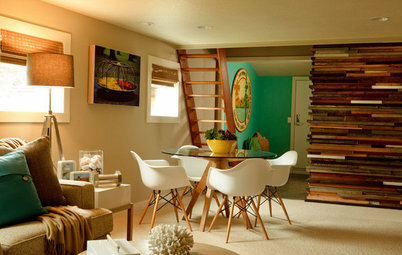 It's a great idea for a library or den that requires media storage, and it helps create a cozy and rustic retreat. 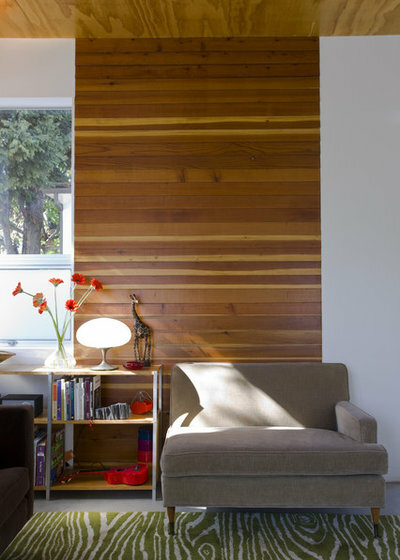 If you are feeling an extra bit of love for wood paneling and want to push the limits of this application, extend it from the wall to the ceiling for one continuous swath of warm wood. 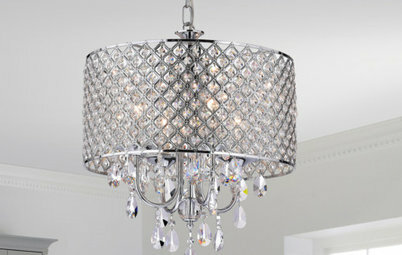 It will feel super luxurious, especially in rooms with soaring ceiling heights. 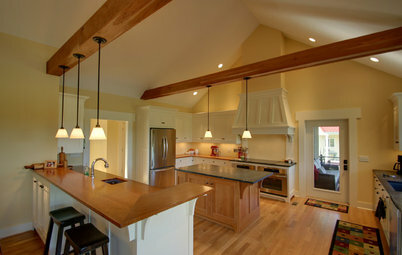 Perhaps the most unorthodox place to use wood paneling is in the kitchen. However, the kitchen ends up being the warm and inviting center of most homes, and cladding it with wood paneling, refrigerator casing and all, will certainly warm it up. Coupled with the cool concrete, I really like this look. 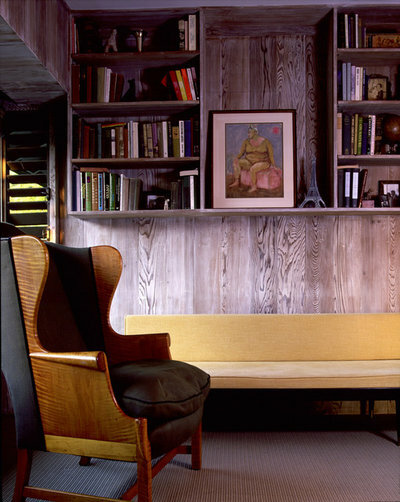 My second mental image when I think of wood paneling (after that '70s den look) is a spa-like experience. This photo perfectly captures the beauty and practicality of cladding bathroom walls in wood paneling, especially when paired with clean white ceramic fixtures. Next, let's look at bathrooms. 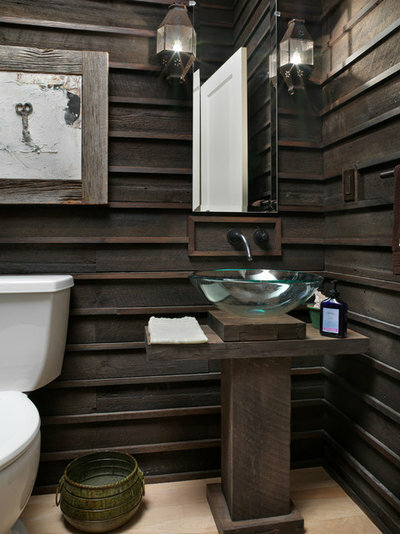 I like how this dark and rustic wood-paneled bathroom feels thoughtfully designed and refined with its intriguing three-dimensional wood installation. Here is a gorgeous, modern, wood-paneled bathroom that continues the wood onto the ceiling and pairs it with cool gray tiles. Wow. 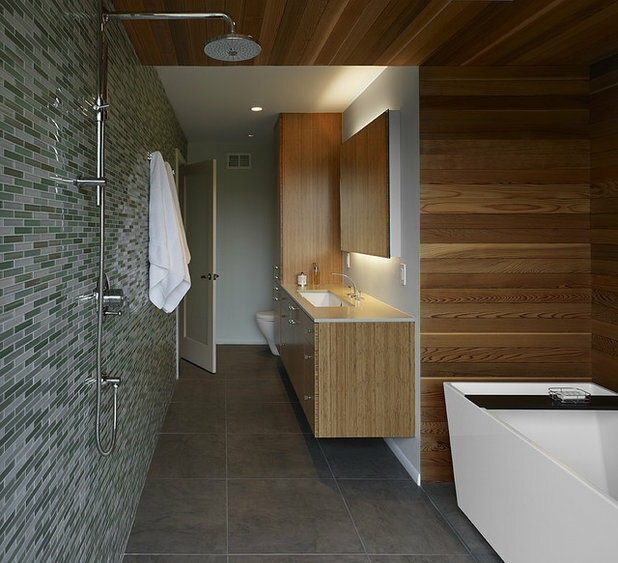 A minimalist and bright wood-paneled bathroom wall is complemented with a wood-grate floor. If the woods matched, it could be a touch more pleasing to the eye, but for practical purposes certain woods like teak or bamboo are better suited for the floor. I have an entire living room of wormy chestnut paneling from 1950. It has it's original finish. But...it is so dark and so rustic. I'm afraid to whitewash it or change it in any way, but I can't stand the dark room...help?? (The floors are wax finish oak (also very rustic). There is a huge red brick fireplace w/ wormy chestnut beam as mantle. can you send us a picture? Would like to update my paneling. 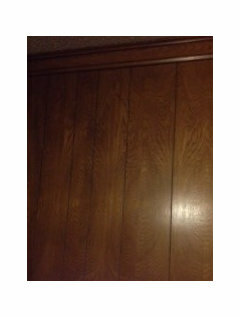 I painted paneling in another room,but in my family room I would like to use a glaze to show the grain. What process do I use. Does this require a primer? Would like a brown glaze over white. Thoughts?